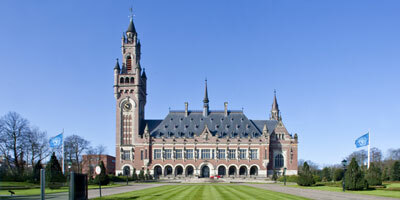 On Monday 15 December 2014, Colleen Rohan and David Young of 9 Bedford Row International appeared as speakers at the Second Meeting of Defence Offices at the International Criminal Courts, which took place in the Peace Palace, The Hague. The event was organised by Francois Roux, Head of the Defence Office at the Special Tribunal for Lebanon (STL). Opening speeches were made by STL President Sir David Baragwanath and Steven van Hoogstraten, Director of the Peace Palace. Presentations were made by Dr Mark Ellis, Executive Director, International Bar Association; Pascal Besnier, Chief of Judicial and Legal Affairs, International Criminal Tribunal for Rwanda; Xavier-Jean Keita, Principal Counsel for the Defence, Office of Public Counsel for the Defence, International Criminal Court; Catherine Mabille, Defence Counsel; and Ms Heleyn Unac, Deputy Head, Defence Office, STL.